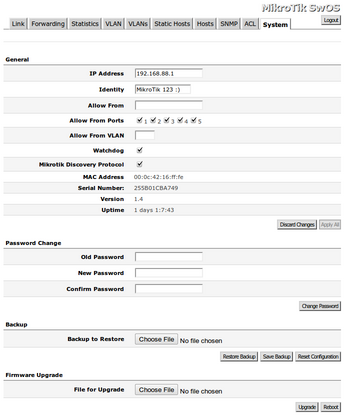 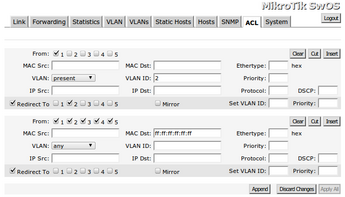 SwOS interface menu consists of 10 tabs: Link, Forwarding, Statistics, VLAN, VLANs, Static Hosts, Hosts, SNMP, ACL and System. 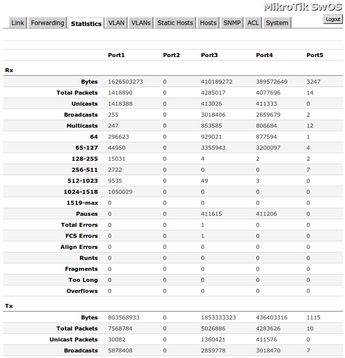 Note: RB250GS supports 2k host table entries. 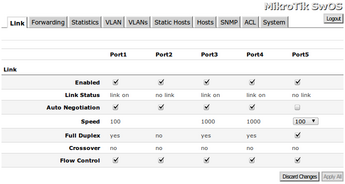 Note: Each RouterBoard switch model has its own firmware which cannot be installed on other models.